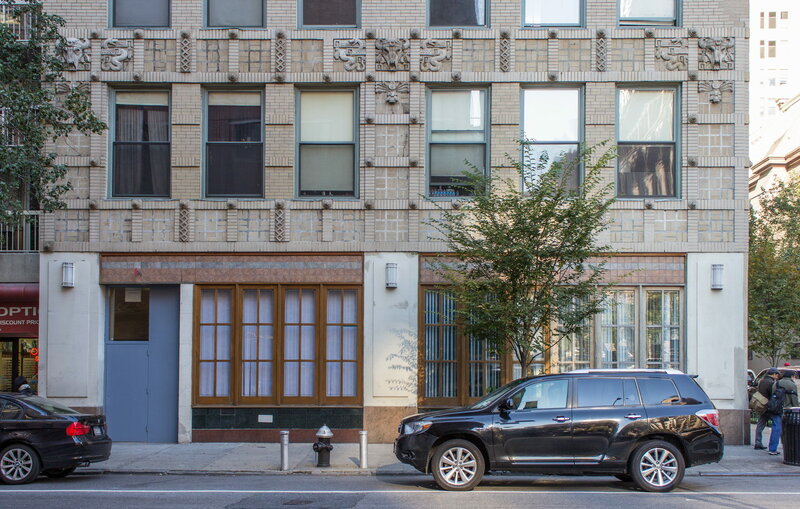 February 22, 2015 Manhattan130 E 25th Street, 1916, Art Deco, B.W. 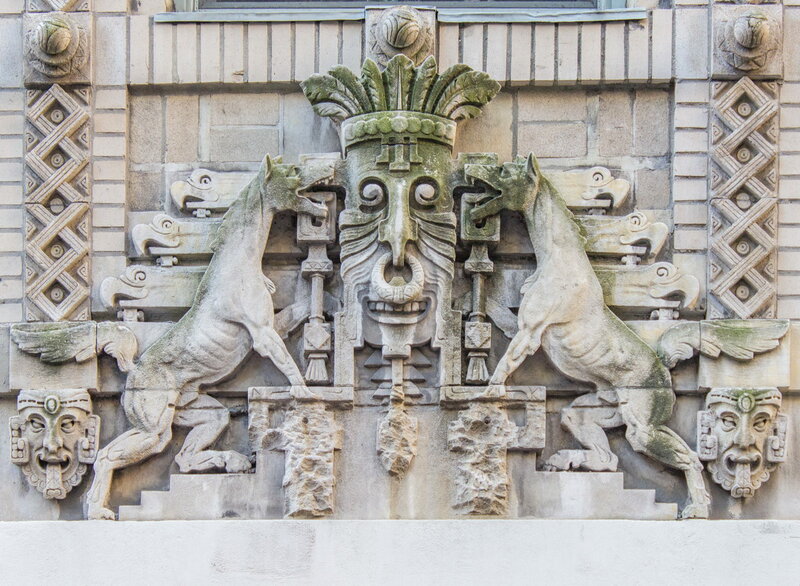 Mayer Building, Herman Lee Meader, Manhattan, midtown, New York City, residential, rose hill. Friends House (originally the B.W. 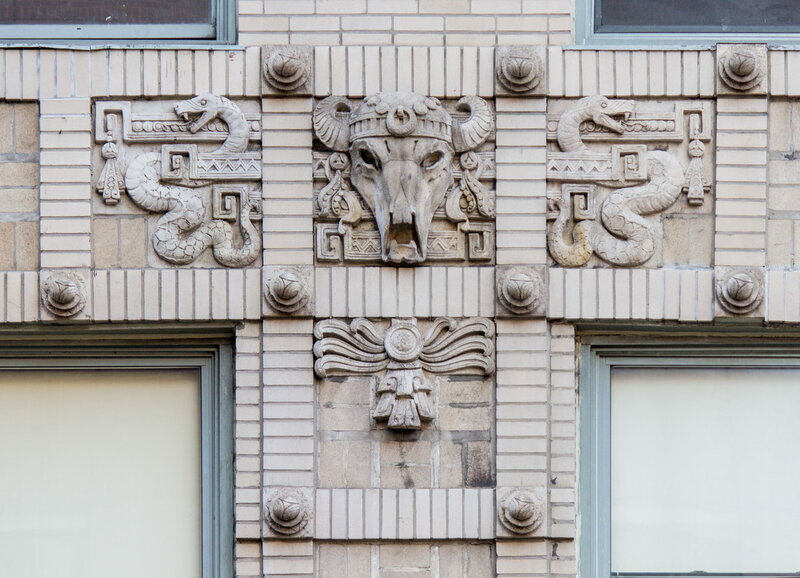 Mayer Building) seems Mayan-inspired in its brickwork, terra cotta snakes and skulls, and turquoise details. 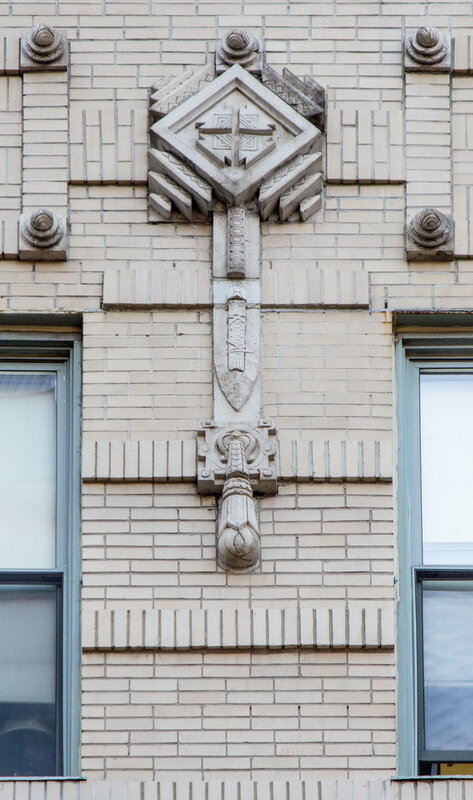 The architect, Herman Lee Meader, also designed the Cliff Dwelling apartments on Riverside Drive and the Mayan-inspired 154-160 West 14th Street. As the B.W. 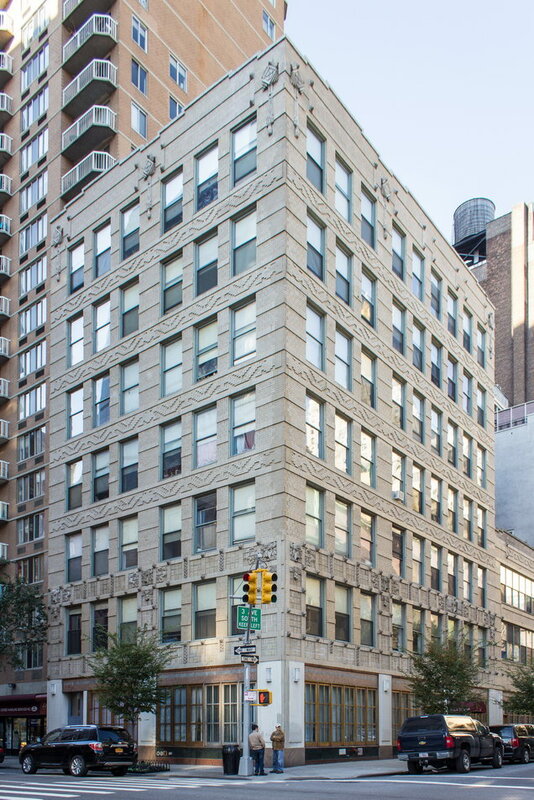 Mayer Building, it was originally offices; then for many years it was a trade school. 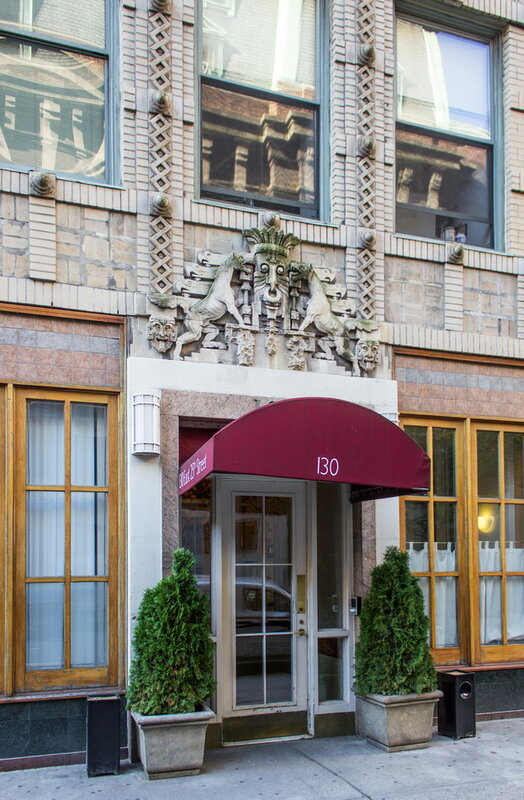 In 1994 the Quakers purchased the building and restored it, converting the structure to a group residence.